Creed has launched Love in White for Summer, a new flanker to 2005's Love in White. What it is: A limited-edition fragrance that takes inspiration from Creed's best-selling women's fragrance Love in White. Fragrance story: Love in White for Summer is a dreamy fresh floral that bottles white hot nights on the Côte d'Azur and the quest for eternal summer. This scent transports wearers to the French Riviera where chic white accessories, crisp waves and long holiday escapes reign. Like the sparkling hues of the ocean's reflection, iris and cedar shine through the heart of this serene scent. Additional notes include rose, bergamot, magnolia, basmati rice, ambergris, sandalwood, apple and jasmine. 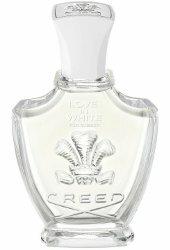 Creed Love in White for Summer is available now at Nordstrom, $335 for 75 ml Eau de Parfum.